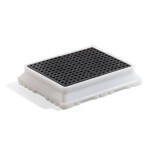 Help customers capture leaks and drips before they reach the floor with spill trays from New Pig. 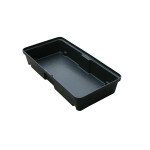 Our sturdy utility trays are made of strong yet lightweight polyethylene, so they can be easily moved, yet won't rust or corrode. Spill containment trays can be placed under drums or shelves and spill basins can be used to temporarily store leaky (or potentially leaky) containers. 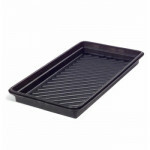 Trays, pans and basins are economically effective tools for keeping messes off the floor.